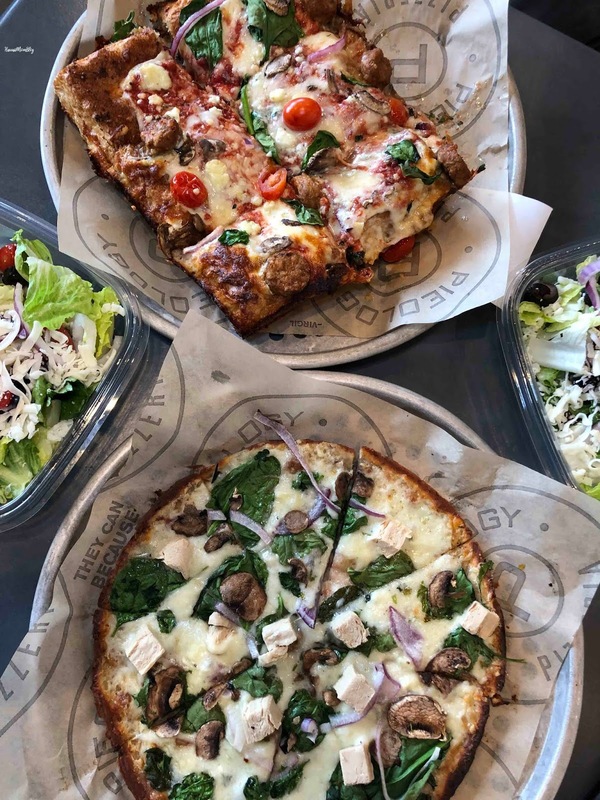 I was recently invited to try Pieology's new Premium Plant Proteins. Made from soy and pea proteins, there are three different varieties of Premium Plant Proteins you can choose from at Pieology: “Beef Meatballs,” “Spicy Italian Sausage Rounds,” and “Diced Chicken,” all of which are are 100% vegan, non-GMO, and free of cholesterol and soluble fats. I really enjoyed the Premium Plant Proteins! Combined with all of the other vegetable toppings, it was quite hard for me to tell that I was only eating plants and not real meat. I am not a huge meat-eater to begin with, so maybe true carnivores may be able to tell the difference more easily, but I thought both the "Diced Chicken" and "Spicy Italian Sausage Rounds" both tasted great. I also loved the Cauliflower Crust. 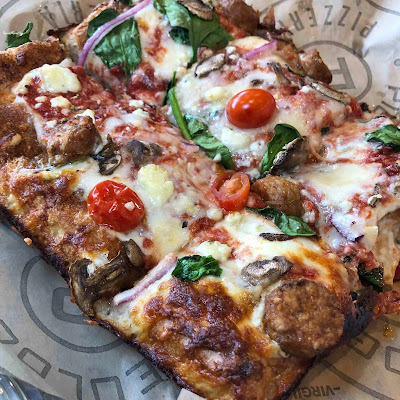 Several people had asked me if it had that "cauliflower taste," but had I not known any better, I honestly would've thought I was eating a regular thin crust! 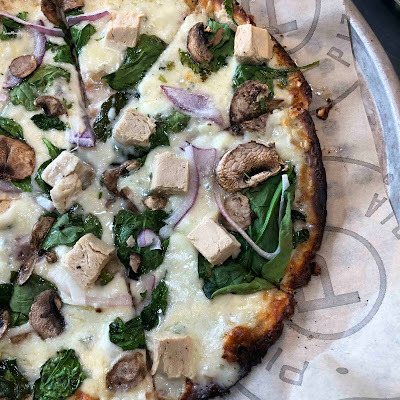 For those on vegan or vegetarian diets, or who simply want to limit their meat intake, Pieology's Premium Plant Proteins are definitely a great option to try! Mahalo to the sponsor for the complimentary meals.